If you’re needing a top notch fence company in Granbury, TX, you’ve come to the right place. We here at Ware Fencing are specialists in everything fencing, including fence repair, fence installation, and fence replacement. Our services are in place to help houses and businesses to increase security, increase property value, as well as increase curb appeal. Our crew works diligently to make any fencing idea a reality. To discover more about your fencing choices, give the team a call at 817-948-4503 now! 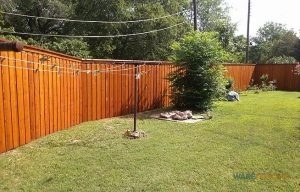 Our local company provides expert fence repair that Granbury can rely on. If you require farm or ranch fencing answers, we can assist you with that too, even with horse fencing. You can choose from any of our home fencing options, including cedar, iron, aluminum, and more! Cedar as well as aluminum are both common picks from our residential fencing stock, because they provide cost-effective affordable safety. 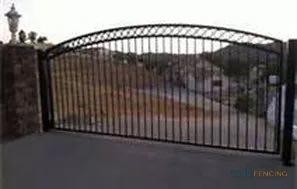 As far as security is concerned, you can count on us for iron fences, or even specialized security fencing. Our crew is so skilled and experienced, we can even provide you with custom fencing designs, created to your precise specifications. Wood Fences Per your preferences, we have a variety of wooden fences for you to choose from, and each one offers different benefits. Iron Fences Wrought iron provides your home with security, as well as a touch of elegance that needs very little maintenance. If you need a reliable fence company in Granbury, TX, you can count on us. We only use high quality materials, and customer satisfaction is our #1 priority. Every customer we work with gets a full assessment, and we work hard to provide fencing to your exact specifications. Give us a call at 817-948-4503 now to set up your appointment, or to request a quote. If you need a fence company that won’t let you down, we’re the professionals for the job.